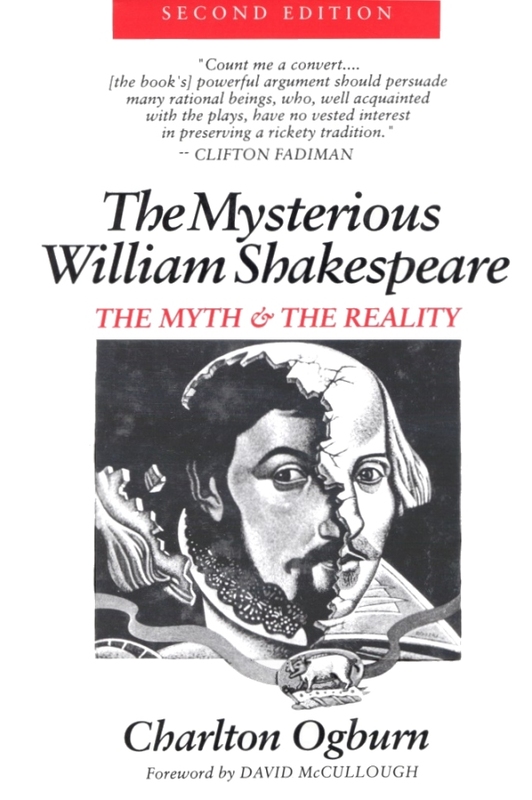 The irony of this reason to believe Oxford was “Shakespeare” is that the contemporary negative view of him – shared by those who would have been unaware that he was secretly writing the works – has been a favorite argument against his authorship. 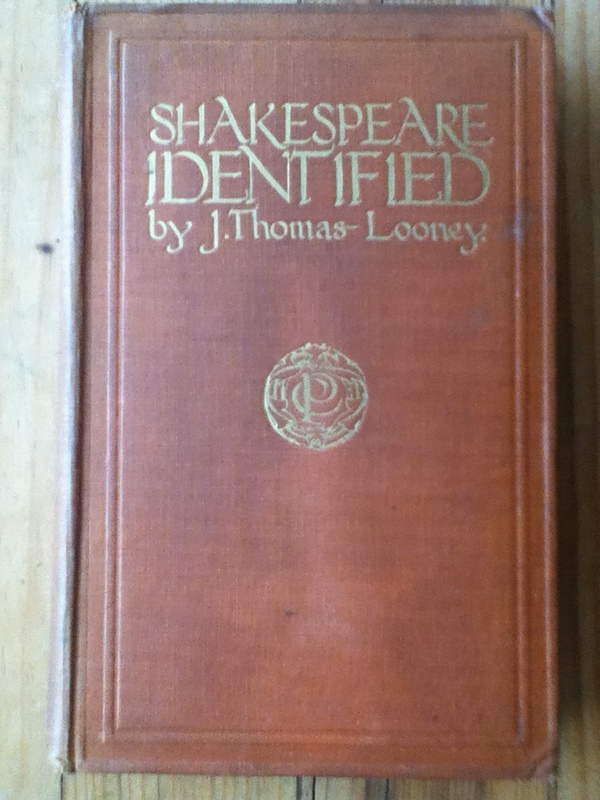 When J. Thomas Looney launched his “systematic search” for the true author, leading to his breakthrough work “Shakespeare” Identified in 1920, he predicted this man could not have completely hid his talent; he would be “a recognized and recorded genius” – but, working behind a pen name, he would also be viewed as wasting his life. 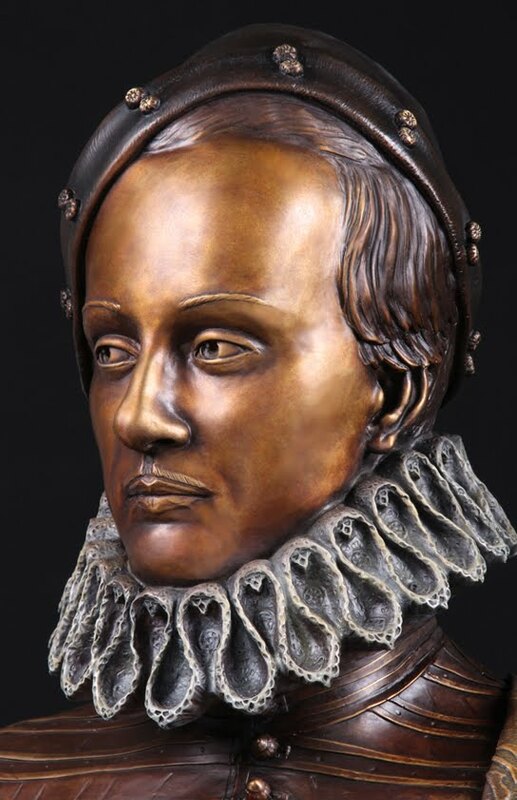 * Then, however, he also called him “a passing singular odd man” and mocked his “little apish hat, couched fast to the pate, like an oyster; French cambric ruffs … delicate in speech; quaint in array; conceited in all points” – confirming Looney’s prediction that the real Shakespeare would be “more or less a man apart, whose very aloofness is provocative of hostility in smaller men” toward whom he would “assume a mask” to conceal the workings of his great mind and heart. “We shall first have to dissociate from the writings the conception of such an author as the steady, complacent, business-like man-of-the-world, suggested by the Stratford Shakespeare. Then there will be the more arduous task of raising to a most exalted position the name and personality possibly of some obscure man hitherto regarded as quite unequal to the world with which he is at last to be credited. Make that more than four hundred years, and counting. After finishing the above blog post, it occurred to me that we seldom envision one of the major qualifications of the true author to be his very anonymity and its effects – in terms of both his own behavior and others’ views of him. We seldom if ever see his particular circumstance, living behind a mask, as one of those qualifications – but, in fact, that would be a necessary aspect of his life and character. 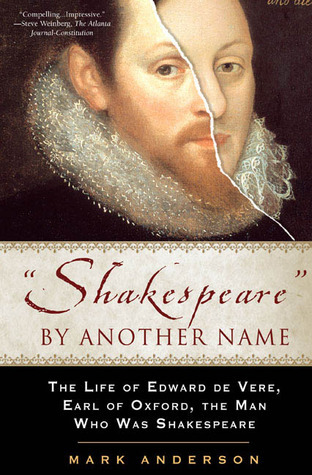 I reminded myself, however, that Oxford’s life behind the “Shakespeare” mask would have begun only in 1593, when he was forty-three, and that he then would have been revising most of his plays rather than writing them for the first time. In fact, he would have been living with this special circumstance – his anonymity – for two or three decades, from the time he was in his teens. This “reason” involves Oxford’s unique life of which the “Shakespeare” phenomenon is only one part. The whole answer to the problem is much larger in biographical scope than we may hold in our minds. His hiding behind the “Shakespeare” identity would actually have been the culmination of a prior life lived behind many masks. In any debate between Oxfordians and others, therefore, isn’t this “life behind a veil” a fundamental but often forgotten issue? Andrew Gurr, based on Alan H. Nelson’s book considers Oxford to be a ham-fisted writer. Mr. Nelson’s book is surely based on – well, probably on these contemporary negativ views. The circle is full. Anyway, let’s hope this blood eclipse which is happening in just hours, if I am write, may have some influence on the scholars’ mind (just kidding). As Oxford would say “These late eclipses in the sun and moon portend no good to us” (us = Oxfordians, who still are the greatest “lunatics” for believing a man who died before “Shakespeare’s lat years” wrote Shakespeare…). Robert Hunter, “Althea”, probably meant about Hamlet. Great point. I have tried to argue myself out of it but I see his hand in a “Treatise on Treasons”. Nina Greene says outright on her site that it was de Vere. Over 65,000 words scratched onto thick sheets of parchment, the first part written between Norfolk’s arrest and trial, and his own wedding in between so I’m not sure how he found the time. Mostly it’s that deft way of educating the reader, the complex yet clear run on sentences, the listing of points and flexibly restating them in multiple ways, the compulsivity of the writing and that smack of the modern that says de Vere to me. In this defense of Mary and Norfolk he was basically excoriating Burghley, his brand new or soon to be father-in-law, along with Bacon’s father, for trying to destroy the noble class and extinguish the royal line. Imagine being that compelled to write and express himself while forbidden to do so, a truth teller required to lie if he wants to survive. There’s that burst of his “natural” voice in early poems and odd writings but after that he’s sublimating himself, becoming a dozen voices, twisting, turning into Shakespeare. It’s definitely a story of triumph out of tragedy, but still… a tragedy. A tragedy – and a true crime story for us to solve. public – for posterity. The author was tongue-tied by authority and told us directly with the example in 105: “Fair, kind, and true, varying to other words.” I will have to study Prescott’s posting. Ken, I previously saw this one. Alas, I’m sure no such method will help us to victory. It’s not a proof the world would accept ever. I must stand with Sandy. Thea idea Oxford could have wrote poems and plays as Shakespeare putting ciphers in them doesn’t convice me. It could have been any cipher, any author can invent his own and say Oxford-Shakespeare use it. Baconians did and still do that, and it never convinces me. To think there are ciphers it’s to doom Oxford’s poetical genius, at least at my eyes. Oxford was a writer who write guided by his emotions, a true poeta indeed. I don’t think a poet like Oxford would restrained so much his wit to ciphers. Whittemore’s double-meaning words it’s much more justified than elaborated ciphers invented by Baconians and certain Oxfordians (don’t take the offence). Oxford’s poetical wit would be in right hands at double-meaning words, at least in the poems, I don’t believe he always used this method in his plays. Just think like a play: is it better to expose all your wit to express your feelings and your life; or restrain them to mere ciphers which can reduce your ability? It doesn’t seem probable Oxford had any training with ciphers to write such master works without censuring himself. Correct me please if anything of mine it’s wrong, I would like to hear many’s opinion on the matter too. It’s indeed a taboo, so let’s talk freely on it. Why not? Francisco, I see no taboo. For me it’s hard to say anything in this matter, which I can not prove. All I say is that the world can not be convinced with arguments if this type. There are lots of things I can prove, I hope that within not a long time everybody will see my deeds. Surely, Oxford did use the method of hiding crucial information by initials. As to using cryptographs – I don’t know for sure. One more argument, which I find to be very important. When hiding something in a letter, the addressee surely knew that there IS something hidden, the ‘where” was given, in a relatively short letter. So the circumstances of decipering were by and large given. Now, when trying to hide some truth in the works of Shakespeare, the situation is quite diffent. There are several hundred pages,of text. Where to begin decipering? What to search for? The purpose of the person ciphering must have been for the reader to be able to find the hidden information relatively easily. But to find the needle in the haystack – it’s almost impossible. And such a clever man as Oxford surely was, was surely well awareof this fact. Why do these strange things keep cropping up? Can anyone show me a similar title page to the Sonnets title page? I had said before it would be entirely possible to use a modified Cardano Grille for skip coding but I’m not convinced that examples I’ve seen were more than chance. Someone discovered ‘verus’ and ‘everus’, the Latin for de Vere, in an Oxfordian themed sonnet I wrote for a flash fiction. While I was so pleased to know it was there, it must have been my muse’s doing because the coding was unintentional. I’m more inclined to entertain Prescott’s example because a short oddly tailored dedication or memorial would be perfect for such coding. De Vere thought he had plenty of time to make subtle allusions, but after he was gone his peers realized the secret would die with their generation and did resort to codes and puzzles, so we have Tibi nom de Vere and a never writer to an ever reader. 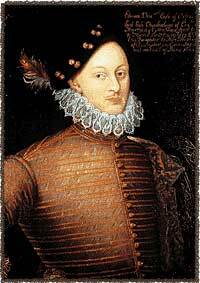 As far as why his children did not reveal the secret, Henry de Vere (and Wriothesley) spent enough time in the Tower as it was! I’m not sure I really got that last point. “Read this, if you know how to read…” Ha! I am more intrigued about the fact that Oxford wrote his fenomenal plays and poems in surroundings where nobody knew it was him. This kind of circumstance would leave an author totallly free, when so inclined, to write completely honestly about everything he thought was important, both the internal as well as the external. Nobody would be able to blame him for any of it, Of course, people might still criticize the ‘products’, but he could take it to heart or lump it without anybody being the wiser. Pretty cool situation for an author, I should think! The price, of course, could be everlasting anonymity…. and begins by listing 10 reasons why artists use pseudonyms. This looks like a very interesting book.